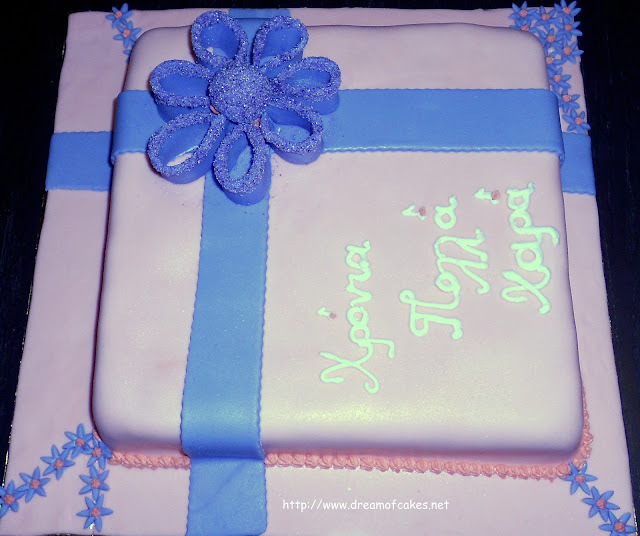 This was a birthday cake for a twelve year old girl, called Hara. On a ball I added 100gr of caster sugar and a few drops of purple colour. With the help of a spoon I managed to create a purple sugar effect. I used a bit of vodka to wet the top part of the bow foldings and then I stuck the sugar on them by dipping the wet part of the bow foldings into the sugar. OMG - You never cease to amaze me with your wonderful cakes! This is an awesome cake! The sugar sprinkles on the bow is creative and makes the presentation that much more eye catching. I want one of your cakes! All your cakes always look so good. Great job! beautiful cake, the colors are amazing! Your cakes are always so pretty! This one does not disappoint! 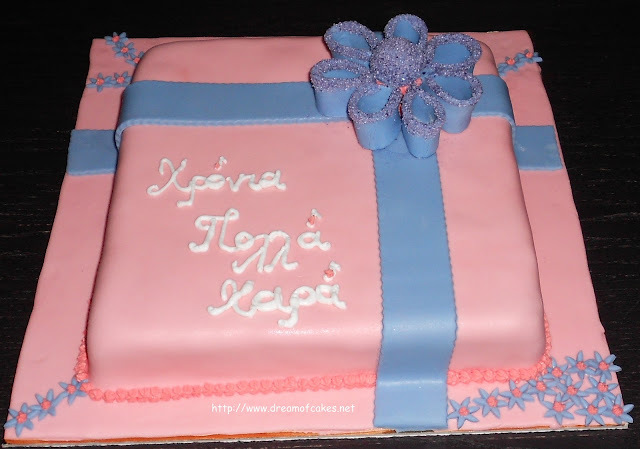 Lovely cake.....the bow looks so neat. It's different from the usual fondant+gumpaste bows which have 3-4 layers. I love the sparkling sugar too. This is lovely....I bet everyone who gets one of your cakes is just thrilled! Another beautiful design! I love how the bow looks sparkly! Beautiful Cake and one of these days I'll start practicing with fondant. The sparkly is very girly! But none the less, it is a very cute cake! The flower is so pretty! Soo pretty, my friend. I thought if I checked out your website, there would be something lovely to view. You amaze me! Wow! Such perfection! Looks great! Thank you for visiting my blog. Your opinion is very important to me...! Η συμπατριώτισσα μας και φίλη μου Ήβη Λιακοπούλου, από το μπλογκΚοπιάστε στην Κουζίνα μου, που ζει στην Ελλάδα εδώ και πάρα πολλά χρόνια, επιτέλους μετάφρασε στα Ελληνικά το βιβλίο της Mint Cinnamon & Blossom Water, Flavours of Cyprus, Kopiaste, το οποίο αγόρασα μόλις κυκλοφόρησε, πριν 1½ χρόνο περίπου, και πραγματικά εκεί βρήκα όλες τις παραδοσιακές συνταγές της Κύπρου. 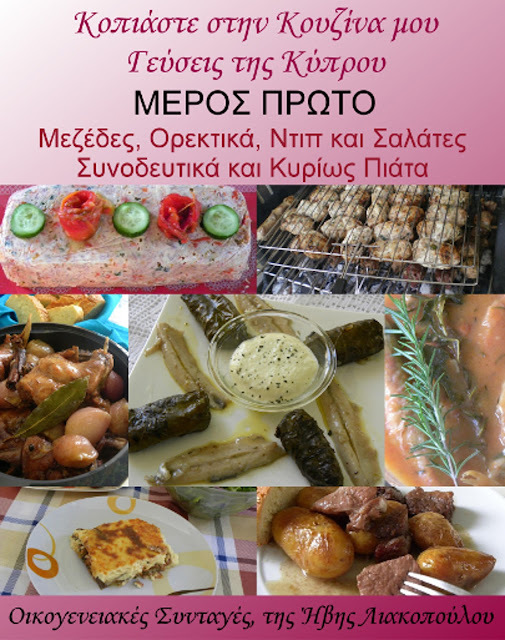 Ήδη μαγείρεψα πάρα πολλές συνταγές και οφείλω να ομολογήσω ότι καμία δεν με απογοήτευσε. 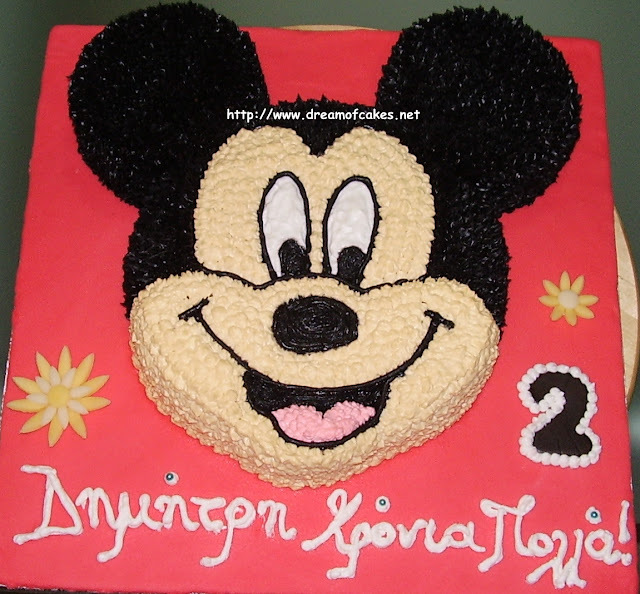 This cake was made for Demetris, an adorable two year old boy! I hope he likes it. His mother told me that he likes Mickey Mouse very much! 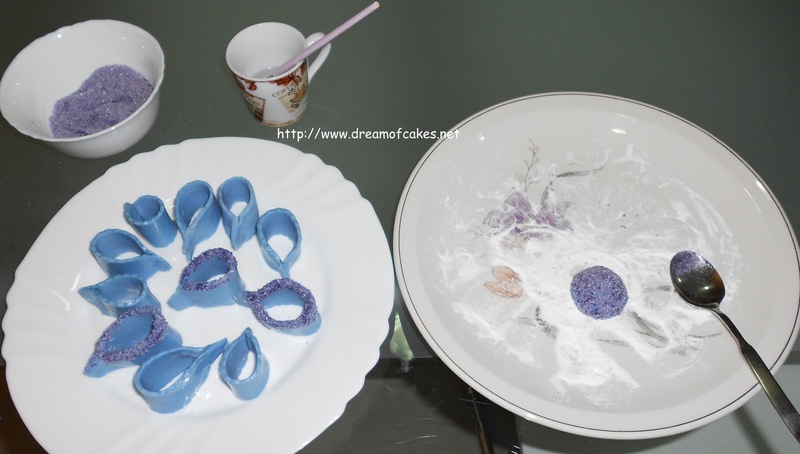 Here you can see the cake decoration steps. I used buttercream, in order to make the surface of the cake smooth. This cake took me 3 hours to decorate it. The black part was the hardest to finish. I used wilton's black decoratcing icing. Happy Birthday Demetri!!! This is a Guest Post from Lien. It is her birthday cake, that was dedicated from her to her husband, Hong! 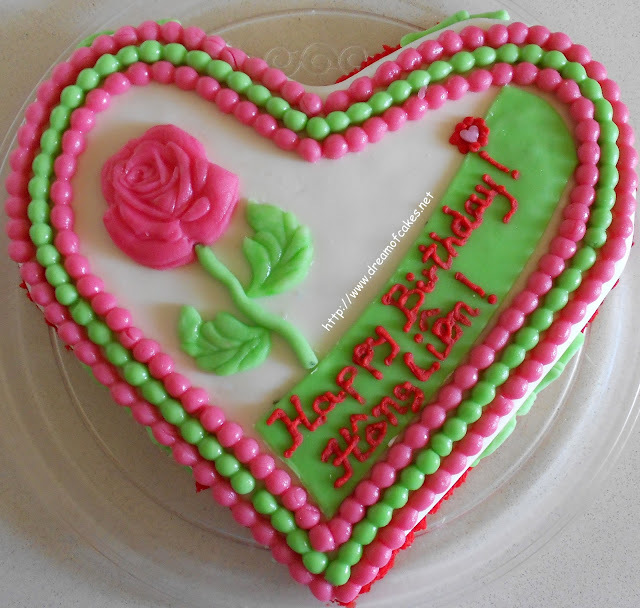 Happy Birthday Lien! !